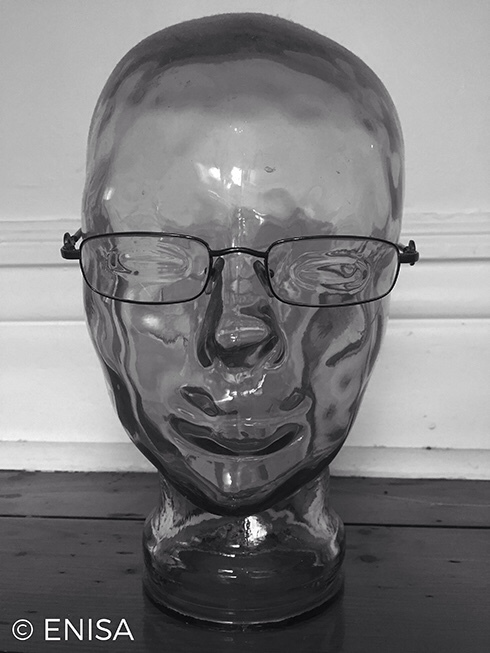 The specially designed mannequin upon which the glasses were kept was distorted, being pushed partially out of reality. This was Silvia Mason’s goal. Her employer had paid millions for the world’s greatest thief to break into a classified government facility and steal the experimental Alternative Lens, but she was going to keep them for herself. Once she put them on, she would be phased fractions of a second outside normal time. She would be invisible, intangible, could go anywhere and do anything. She entered the vault without being detected but had only one way out. Wearing the Lens. She put them on and every alarm conceivable blared and flashed around her. Silvia started to laugh but then the others appeared in her phased reality. By the time she was visible again, even strong men vomited at the horrific sight of her remains. I wrote this for the FFfAW Challenge for the Week of December 26, 2017. The idea is to use the image above to inspire the creation of a piece of flash fiction between 100 and 175 words long. My word count is 175. The mannequin’s head looked strangely unrealistic so I thought up “phased invisibility” or a device that pushed the wearer slightly out of normal space-time, enabling them to move in five dimensions. However, no one ever said such a reality might not already be occupied by horrific and deadly beings. So much for Silvia’s escape plan. Though the poor thief paid the price for being enterprising, her horrific fate should not deter us from exploring other dimensions in the future… with suitable precautions of course. Naturally. With only 175 words to play with, I had to quickly resolve the conflict. Thanks. Thanks. I felt it was a tad abrupt myself. Wow! Gruesome ending James. For some reason, I feel she deserved it. Great story! Well, she was a thief and she was double-crossing her employer so yes, she wasn’t a nice person. Thanks. Fascinating as always James, I just love your imagination and your footnotes…have a good day. I made a comment on someone else’s blog who had responded to the same prompt and it led me to write over 4000 words for a different story based on the glasses. I still have tons of editing to do. Thanks for the kudos. I’m excited about the second story now. What an interesting take! Great imagination! Thanks, Shivangi. As I mentioned to Michael, I’m not through yet with the prompt.